SOUTH WAYNE, Wis. – With the goal of creating a community-wide effort and showing the community the commitment area farmers have to caring for the land and natural resources in Lafayette County, Wis., a group of producers created the Lafayette Ag Stewardship Alliance in 2017. Winn is a partner in and operates Cottonwood Dairy, a 1,800-cow dairy near South Wayne, Wis. Cottonwood Dairy is located within the watershed that encompasses the East Pecatonica River. 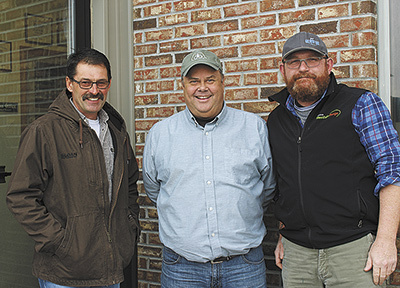 When Winn decided a regional conservation group was needed in his area, he called on a group of producers he thought would be interested in developing the project, and a meeting was set with area farmers invited to attend. From the first meetings held in 2017, LASA has grown to 24 members and has over 40,000 acres of farm land and over 14,000 head of livestock enrolled. Members in the organization pay a flat fee of $250 per farm, regardless of farm size, to help fund the educational programing the group provides. While the activities of LASA are directed by a board of eight members, Winn encourages all LASA members to attend board meetings. Jim DiGangi was one of the dairy farmers Winn first called upon when the idea for LASA struck. DiGangi is on the LASA board of directors, and owns and operates Darlington Ridge Farms, a 2,500-cow dairy farm near Darlington, Wis. 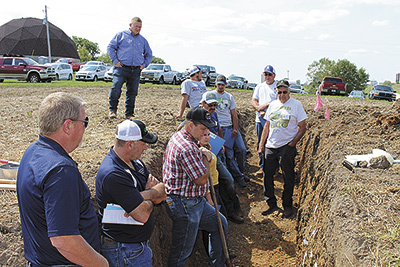 In addition to the board meetings, the group has hosted field days and demonstrations for members to attend in-the-field training and sharing, as well as holding a yearly conference for more learning opportunities. Field day topics have included things like reducing field run-off, field-edge run-off, manure application and no-till practices. Field days are being planned again for this year and will be held in August. “The horsepower of the information that we have available to share is really amazing,” DiGangi said. Tadd Meier joined LASA because of the real-world data and information available. Meier milks 120 cows in South Wayne, Wis.
“I’m really interested in learning more about developing strip-tilling on my farm,” Meier said. He is also interested in working with cover crops. “Being able to use the information from this group to make management decisions has really benefited me,” Meier said. 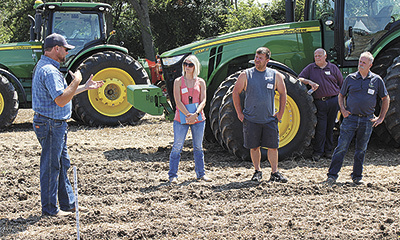 In addition to holding educational events for farmers, LASA members are required to share information regarding conservation practices used on their farms with the group. In 2018, LASA members participated in a survey of 14 conservational practices including cover crops, no-till, reduced tillage and nutrient stewardship. Based on estimates from the United States Department of Agriculture Conservation Effects Assessment project, LASA members documented an estimated reduction of 42,648 pounds of phosphorous and 13,285 pounds of nitrogen because of the conservation practices they have employed. Looking to continue to grow the successes of their group as a whole and of their members individually, Winn said the goals for LASA for the upcoming years include continuing to grow and increase overall membership. “Farming is always changing and evolving,” Winn said. Winn said he would like to see educational programming for this year help grow the usage of cover crops among LASA members. LASA has a cost-sharing program that aided their members in developing cover crops last year. This year, the cost-share program is being expanded to also include development of no-till and limited tillage practices, plus 4R nutrient stewardship which consists of split fertilizer applications, precision soil sampling, plant tissue sampling and nutrient management planning.